Sinulog Festival 2014: Schedule of Activities - Balita Boss! The Sinulog 2014 is a festival held in Cebu City and is one of the most awaited celebration and tourism attractions in the Philippines. The festival, which starts on December 1, 2013 until February 10, 2014, commemorates the Cebuano's pagan origin, and their acceptance of Roman Catholicism. The word Sinulog comes from the Cebuano adverb sulog which roughly means “like water current movement;” it describes the forward-backward movement of the Sinulog dance. The dance consists of two steps forward and one step backward, done to the sound of drums. Sinulog Festival is an adaptation of famous Ati-atihan festival of Kalibo, Aklan. 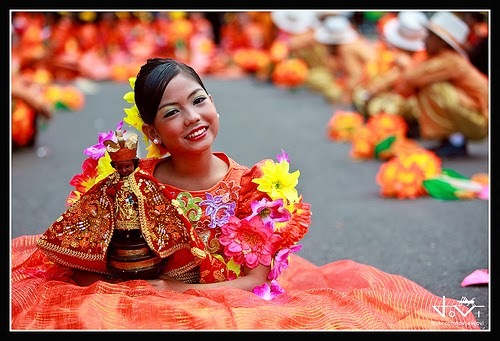 December 1, 2013 – January 31, 2014 — Sinulog Street Fair, Osmena Blvd.